The mission of the Department of Planning and Zoning is to protect and improve Danbury’s neighborhoods, business centers, community resources and our natural environment while planning for sustainable development that will enhance the quality of life for all our residents. To that end, the Department has been instrumental in the preparation of plans, projects and land use regulations for the City. Citywide plans have included the Plan of Conservation & Development, Transportation Plan, the Parks & Recreation Plan, and the Downtown Danbury Transit-Oriented Development Study. Major projects have included downtown redevelopment, various streetscape improvements, the creation of the Ives Trail concept, restoration of Elmwood Park, and construction of the 9/11 Memorial, rehabilitation planning of the historic Octagon House, Heritage Plaza at City Hall, and Memorial Park. Professional and clerical staff provides support services to the Planning and Zoning Commissions and the Redevelopment Agency, while clerical support is provided to the Environmental Impact Commission and the Zoning Board of Appeals. constructed in accordance with the Plan of Conservation and Development. The Department reviews site plans and assists the Planning Commission in the review of special exception and subdivision applications. The Department advises the Zoning Commission on all proposals for zoning amendments and the rezoning of land. Our Department also assists with referrals from City Council for requests for extensions of sewer and water service, dedication of roads, and offers to buy, sell or lease City land. The Department prepares the annual Capital Improvement Program to schedule major capital expenditures over time, reviews all applications under the Deferral of Assessment Increases program, and updates and corrects street addresses in the City. The Planning Director serves as Executive Director of the Danbury Redevelopment Agency. Departmental responsibilities for downtown redevelopment have included the recruitment of new businesses, the coordination of streetscape improvements on Main and White Streets, construction of the Patriot Garage, creation of the Danbury Green, design of Palace Walk, preparation of the downtown revitalization plan, Downtown Danbury: Issues & Recommendations, and directing preparation of the Downtown Danbury TOD Study. 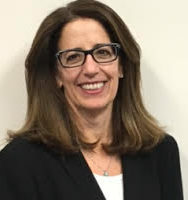 The Planning Director advises the Main Street Partnership and also serves as a member of the Office of Project Excellence Steering Committee, Danbury Housing Partnership, and as an ex-officio member of the CityCenter Danbury Board of Directors. Completion of the Heritage Plaza and City Hall Landscaping Improvement Project. Completion of the Memorial Park at 357 Main Street. Administered the Octagon House rehabilitation grant and site plan preparation. Completed the Draft Downtown Danbury Transit-Oriented Development Study. Continued review and preparation of amendments to the City’s Zoning Regulations and other land use regulations to address changing conditions which threaten the City with undesirable development that may intrude upon residential neighborhoods, harm the environment, or create unacceptable traffic congestion. Continued improvements in the preparation of the five-year capital improvement planning process. Worked with City departments on improvements to the pocket park at the intersection of Main and West Streets. Continued processing of land use applications. Amend Zoning Regulations to incentivize development downtown pursuant to the recommendations of the Downtown Danbury Transit-Oriented Development Study. Plan and design downtown streetscape improvements to replace sidewalks and other street infrastructure. Plan and design the walled garden at the historic Hearthstone Castle in Tarrywile Park. Continue providing recommendations to land use commissions on regulatory changes to improve customer service, create opportunities for balanced growth, and protect sensitive resources. The web version of the City of Danbury, Connecticut Subdivision Regulations is provided for reference and the convenience of having the Regulations in a computer-readable format. The print version of the Subdivision Regulations, together with any amendments adopted by the Planning Commission, remains the official version of the Regulations. If any discrepancies exist between the print and web versions of the Subdivision Regulations, the print version, together with any Planning Commission amendments, shall be considered correct. The web version of the City of Danbury, Connecticut Aquifer Protection Area Regulations is provided for reference and the convenience of having the Regulations in a computer-readable format. The print version of the Aquifer Protection Area Regulations, together with any amendments adopted by the Planning Commission, remains the official version of the Regulations. If any discrepancies exist between the print and web versions of the Aquifer Protection Area Regulations, the print version, together with any Planning Commission amendments, shall be considered correct.